There are plenty of factors that draw remote workers, freelancers, and entrepreneurs away from home offices and local coffee shops and into coworking spaces. Beautiful office design is one. Free coffee, refreshments, and shared office amenities don’t hurt, either. 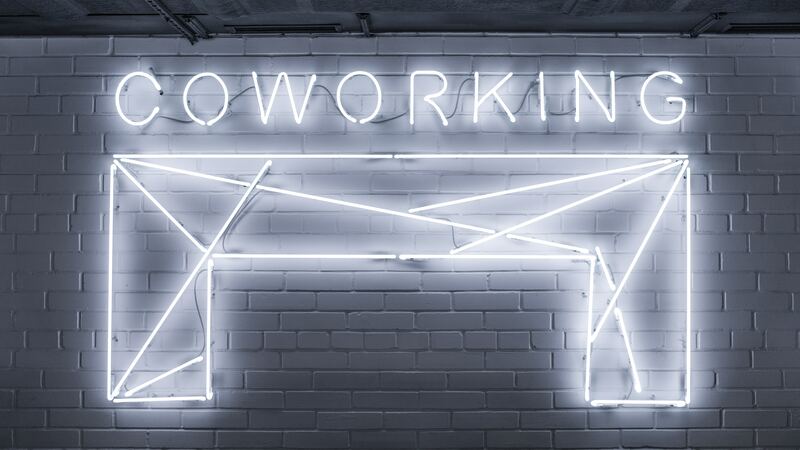 But perhaps the most compelling draw of coworking is the lively atmosphere. The camaraderie and productivity-boosting excitement are the advantages over working alone. It can be difficult to create that sense of liveliness and excitement while also getting serious about office security. 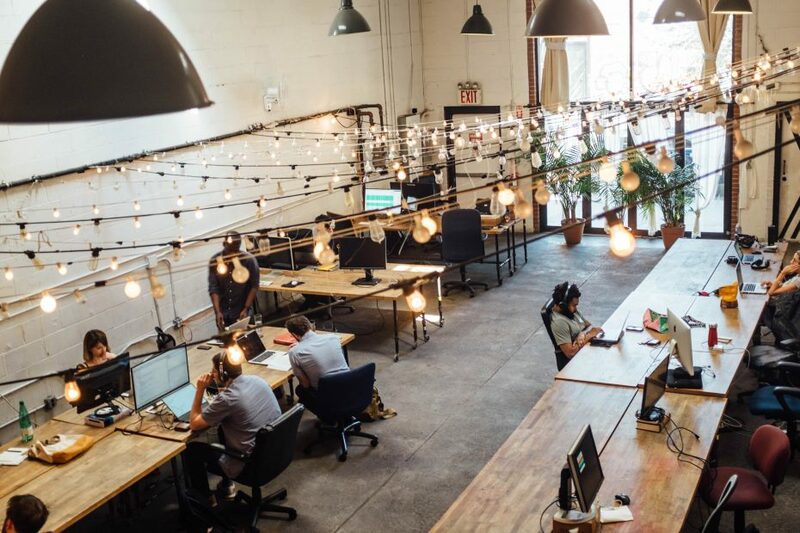 Coworking spaces have more complicated security needs than those of a typical office due to the comparatively large number of visitors and people passing through. However, there are plenty of ways to make guests feel secure without affecting the fun, welcoming vibe of your coworking space. The heart of physical office security is ensuring that everyone who comes into your coworking site is supposed to be there. That job gets a lot easier if it’s clear to visitors where (and how) they should enter and exit the space. When you create a predetermined path in and out, it’s much easier to monitor visitor traffic and make sure everyone checks in properly. It also helps you focus your other physical security efforts, such as adding lighting, improving visibility, and updating locks. A big part of creating that “visitor path” is limiting access points. (Members should understand that they can’t enter through the exit-only doors, for example, or let anyone else in through those doors.) Another is making the path clear with things like signage, landscaping, and other barriers. Visitors should know exactly when when they’ve stepped onto your property, and when they’ve crossed from the public or semi-public space of the lobby to the private space on the inside. Clarifying entrance procedures can prevent visitors accidentally wandering in or trying to sneak in unnoticed. However, these kinds of physical security efforts don’t have to be harsh or foreboding. Far from it. Start the visit off with clear and cheerful signs things like indicating visitor parking and welcoming them toward to the main entrance. You can also use creative furniture or landscaping to make entry paths and space perimeters clear. The people in charge of greeting visitors play the most important role in making a good impression. After all, all the cheerful signage in the world won’t feel welcoming if the people greeting visitors are stiff, distracted, or rude. However, there is another dimension of responsibility that’s ideal for your front desk staff or administrators, and that’s the role of handling visitor security and safety. Coworking spaces, like other offices, are well-served by having someone at the front desk who manages the entire visitor experience, including details like security. In fact, many offices are changing front desk staff titles and job structures to reflect this added responsibility. As we write in our post The Case for Hiring a Director of First Impressions, a few options include Administrative Chief of Staff, Chief Executive Administrator, and Director of Administration. When your front office staff understands security needs as well as branding needs and is willing to make suggestions on how to improve the check-in process from both perspectives, you’ll have a powerful asset in your hands. Other than the staff and the physical security components of your coworking space, there are many opportunities to improve security while staying on-brand. It’s some of these smaller details that can come together to create the feeling that both members and visitors get when they spend time in your space. One of those details is signage, which we already mentioned. Here are others to consider. Visitor badges are a standard best practice in office security. A solid visitor badge policy makes it clear that all visitors must demonstrate proof that they’ve checked in. We wrote a whole post on visitor badge design, which you can read here. Although visitor badges are small, they don’t have to be boring. They can even be a branding tool. Why not get your marketing department involved to make these badges a little more fun? Most coworking spaces use some kind of membership software already to manage payments and scheduling. But you should also be tracking the many non-member visitors who come in to meet with members, make deliveries, or conduct corporate-related business. These visitors will need to be evacuated in the case of an emergency, so you need an up-to-date list of them at all times. Plus, tracking these visits may become important for potential legal cases and for business analysis purposes. Visitor management software like The Receptionist for iPad comes with all of these benefits. By having your visitors check in on a tablet instead of on paper, you don’t just boost safety and security. You also improve their experience and show that your organization is modern and tech-savvy. Coworking spaces certainly are not immune from data breaches and hacking. As we wrote in our recent post 5 Myths About Data Privacy Debunked, small businesses often make the perfect target for hackers, and the loss of private data can destroy the sense of trust that you’ve worked hard to build up with your members. Most digital precautions happen behind the scenes with the use of firewalls, and the way that networks are structured. For example, some experts suggest setting up separate networks for members and nonmembers, or even for groups of members (for example, those working for the same company). However, you can make the login and security efforts more pleasant by making branded WiFi login pages that greet members and visitors cheerfully when they log in. Some software tools even allow you to incorporate your social media and other interactive elements on these pages to drive engagement. You can also use clear, casual language for other security measures, such as the prompts to update logins, make passwords more secure, or observe common security best practices such as avoiding clicking suspicious links. Visitor policies are a good security measure because they tell visitors and members what behavior is acceptable and expected during visits, from scheduling to badges to internet access. To keep the vibe friendly, try to get your point across without using a ton of legal jargon or making people review paragraphs of text. Break it up into an easy-to-read list using simple language (but still have your lawyer take a look at it). Finally, consider using membership software or visitor management software to make the documents easily and paperlessly approved during the check-in or enrollment process. If you’re ready to try one of the best visitor check-in apps on the market, we invite you to try The Receptionist for iPad today. You can schedule a free, no-obligation demo, or jump right in with a free, 14-day trial. Should you go keyless, or try a mobile access solution? Here’s what to know.